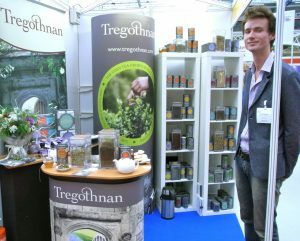 Despite the recession, the Speciality Fine Food Fair, has continued to expand, and this year had the most visitors ever. This is a cheering thought for us all: that quality survives, and despite media reports, we are not all into the lowest demoninator when it comes to feeding ourselves in tough times. 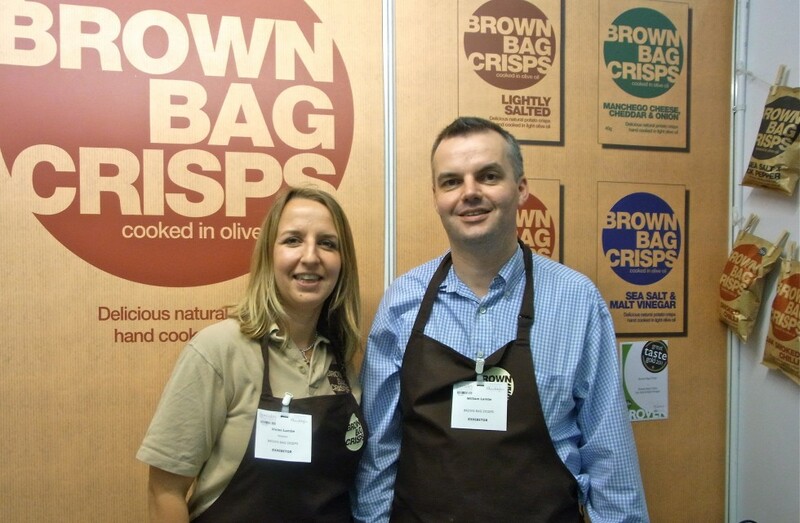 Bob and Linda Farrand deserve OBEs for what they have achieved since setting up the Guild of Fine Food 15 years ago. At that time UK small producers were a disparate lot who badly needed support. The Guild gave them a voice and forum. It enabled them to proliferate, and exhibit their goods at the Speciality Fine Food fair which has now become the highlight of the Autumn foodie calendar. The Great Taste Awards bestow gold stars for outstanding products, and to win the accolade of Supreme Champion can lead to the transformation of a business. 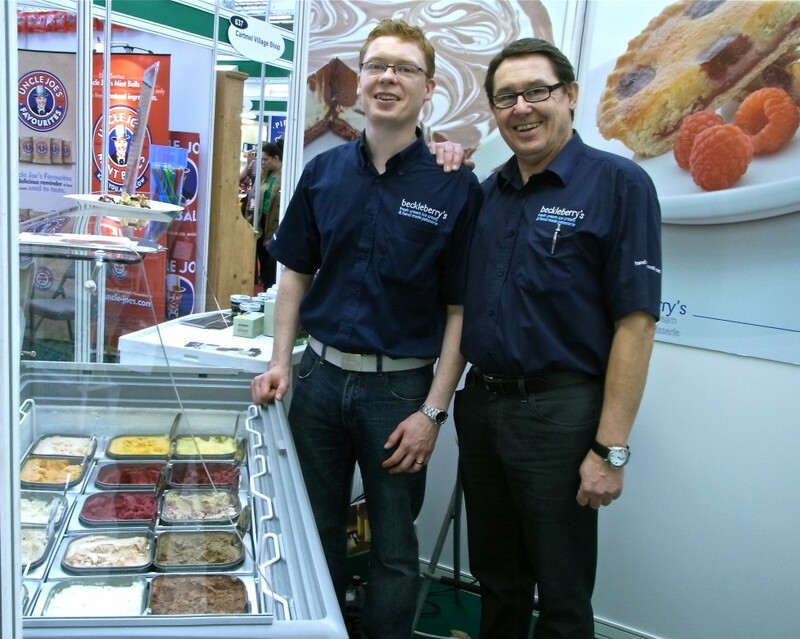 It can be any type of product that wins this: 3 years ago Beckleberry’s, a Newcastle family business won it for their blackcurrant and kirsch sorbet; this year it was corned beef made with dry aged beef submitted by McCartneys, a Northern Ireland butcher. 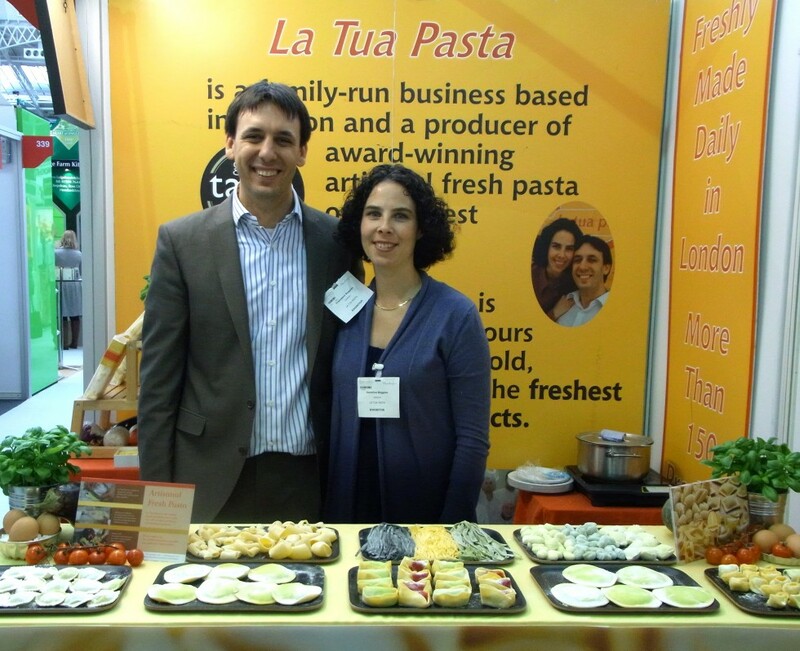 Francesco and Caroline Boggian started their fresh pasta business in London 5 years ago. 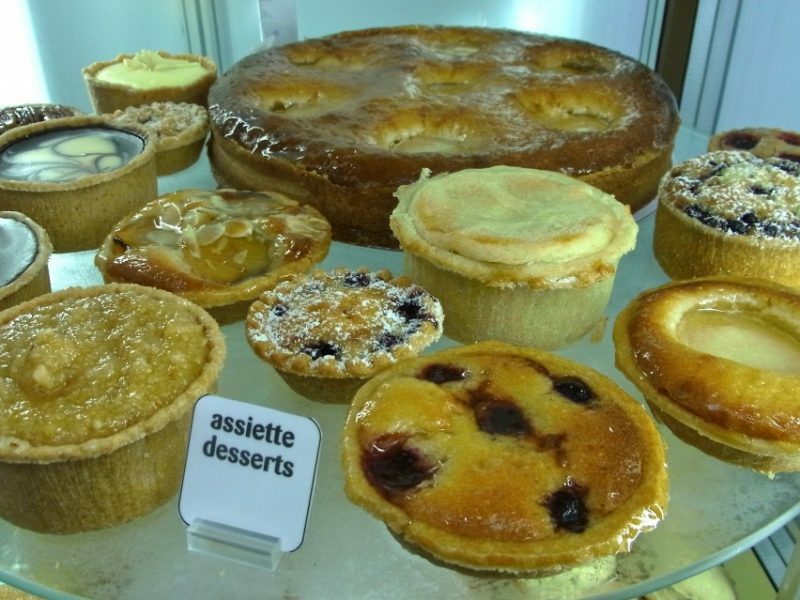 They have always had a dedicated following in farmers’ markets, and also sell to Selfridges and other quality delicatessens. Because of the pasta’s homemade quality, chefs love it, as they can easily pass it off as their own. And the quality is special: I tried an osso bucco filled tortellono specially cooked on the stand, and it was stunning. No wonder La Tua pasta is now also to be found in the Bon Marché in Paris. Apart from its brown bags, the Brown Bag Crisp Company cooks its crisps in olive oil, not usually the preferred medium as its heaviness can weigh down the potatoes. But after many trials the Lambes have produced a crisp which sings with flavour, at no cost to the texture. The sheen added to their plain brown bags this year is a triumph, and they have well deserved the enthusiastic response they had this week. The next group of exhibitors were connected through their distribution but all favourites in their own right. 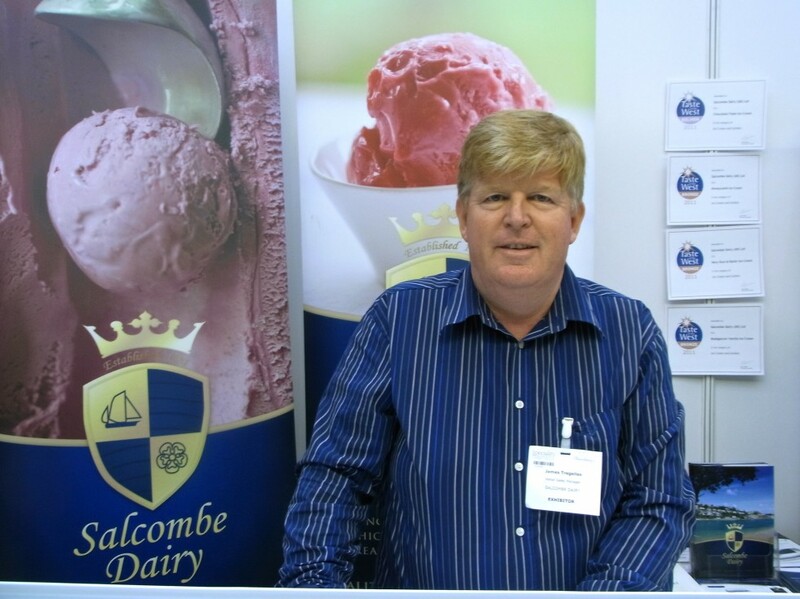 The Craig family from Newcastle with their Beckleberry ice creams, sorbets, and melt-in-the-mouth patisseries, are distributed with the delectable sorbets and ice creams from Salcombe Dairy in the south of England by Nick Boscawen from the beautiful Tregothnan estate in Cornwall. 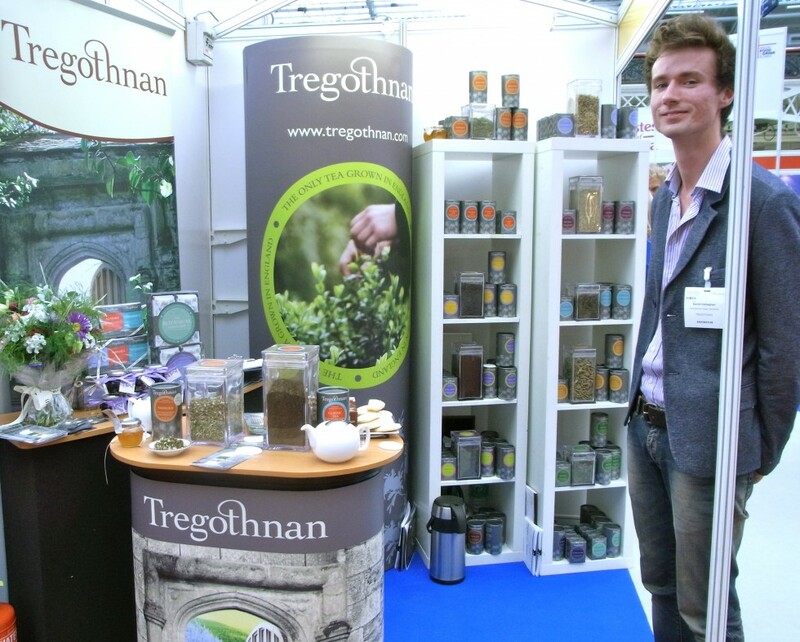 And Tregothnan is another whole story on its own, producing as it does the only tea grown in England. And lastly, a special product from Tuscany. 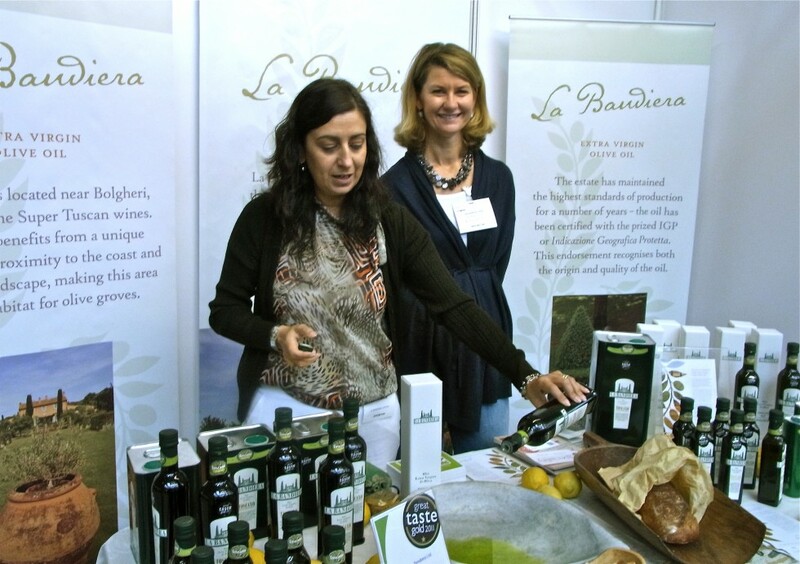 La Bandiera olive oil produced by Jacqui Lane has always sold very well locally around her estate, but is now being snapped up by London delicatessens and restaurants, notably the well known Italian restaurant Bocca di Lupo, whose owner chef Jacob Kennedy certainly makes no compromises over his ingredients. The oil retails in his ice cream/ deli outlet Gelateria Gelupo opposite, in Archer street Soho. The common theme which runs through all these producers, is that they love what they do. You can tell by the way faces light up when they talk about their products. The good news is that it is now not everyone’s dream to get taken on and sold in supermarkets. Tales of cavalier treatment abound, where carefully nurtured products have their margins squeezed to such an extent that their businesses become unviable. Or that they get dropped with little notice, resulting in thousands of pounds of plant and machinery becoming redundant. 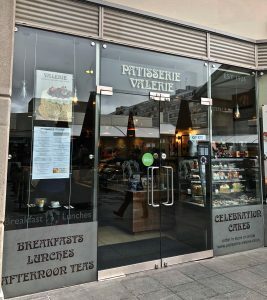 Hopefully, then, the tide is turning so that a small producer of excellence is in such demand that it can dictate its own terms to the retailing giants.